The implementation of STEAM-based curriculum is a meaningful way to prepare children for everyday life. Children’s Learning Adventure encourages intellectual growth through engaging, hands-on STEAM activities. Children’s Learning Adventure’s 2019 summer camp theme is, Hooray for Hollywood! The centers will offer non-stop, exciting experiences centered around all things Hollywood and movie magic. Their summer camp includes lunch and snacks, weekly field trips, and engaging STEAM-based activities. 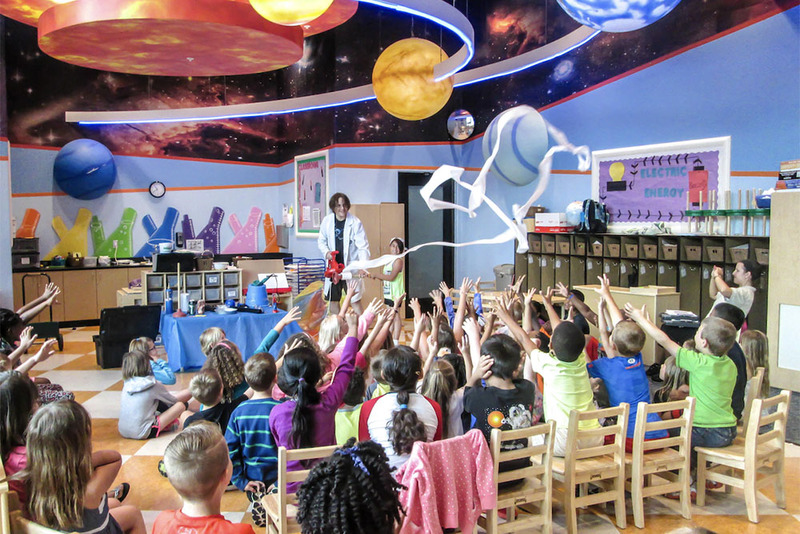 In addition to science, technology, engineering, and mathematics, Children’s Learning Adventure also provides campers with the opportunity to thoroughly explore and discover the arts. Children’s Learning Adventure’s Hooray for Hollywood! summer camp is sure to provide every child with many amazing memories for a lifetime. Children’s Learning Adventure takes a fun approach to learning. By offering exciting programs and unique environments where students are encouraged to explore STEAM-based activities. Our curriculum is designed to keep students engaged and interested in learning. Children’s Learning Adventure takes an interactive and engaging approach to summer by ensuring STEAM-based curriculum is integrated into fun activities for all ages. Summer camp is a great way for campers to create friendships, try new activities, and continue learning while schools are out for the summer. Enrolling in summer camp gives families the opportunity to see the high quality, engaging curriculum Children’s Learning Adventure provides for students throughout the year. To learn more about Children’s Learning Adventure or Summer Camp please visit www.childrenslearningadventure.com, or call (877) 797-1417.